Picked this one up randomly while at Strand Books in NYC last weekend. My knowledge of Buddhism, let alone Eastern philosophy, remains embarrassingly non-existent and since it’s been a few months since my foray into the field, I thought I’d give it a go. This book is actually a collection of self-contained essays/musings on a variety of different topics that all have to do with … wait for it … things falling apart. Unlike Mark Epstein’s work, this collection struck me as more directly self-help(ish) and less about explaining Buddhism, the history, the philosophy, etc. I’ve got a few essays left, but overall I’ve enjoyed it. It definitely assumes some prior familiarity with Buddhist concepts, so not recommended for a first in this space. Still, the reflections on identity, relationships, love (for others and self), anger, etc. are all so interesting and oddly absent in Western literature on those topics, which is a true loss for the West. 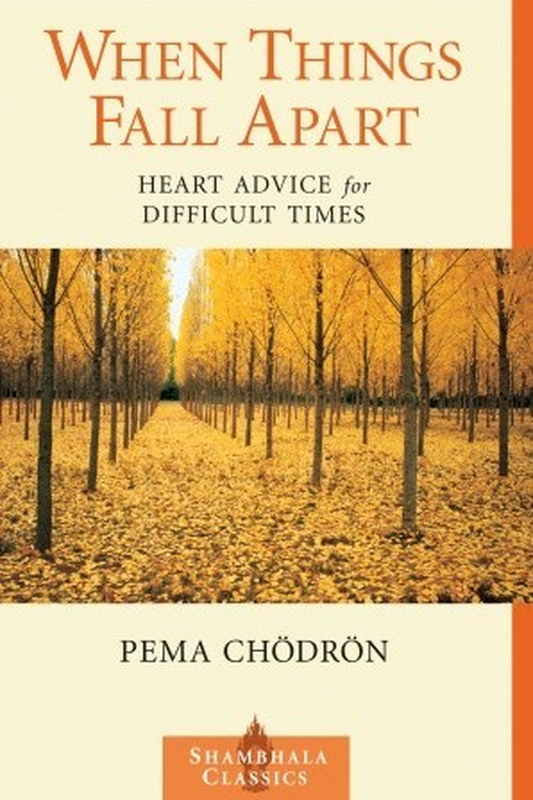 This entry was posted in Book Reviews and tagged academica, bibliophilia, Book Reviews, buddhism, eastern philosophy, identity, love, pema chondron, philosophy, relationships on June 14, 2015 by heathermichellewhitney.